We have over 20 years experience in the industry, and not only do we provide our services to Domestic and Commercial clients we are also qualified to provide and supply L.P.G (gas for caravans and boats). We are GAS SAFE Registered which means we can legally work safely on all your gas appliances. We are a friendly, trustworthy professional company and we can ensure we treat your home as if it is our own. 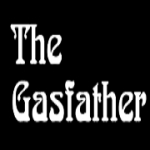 Customer service is on of the upmost importance to us here at Gas Father. We can provide all aspects to plumbing and heating services and we are available 24/7 which means emergency appointments are available at all times. We can provide free quotations for the work that we carry out and we can provide all of the materials for the jobs that we complete. There is no hidden costs, what we quote is what you pay. 'Large enough to cope, small enough to care' There really is no job too small with us, whether you have boiler problems, gas leaks or your wanting full bathroom and kitchen installations we are the company for you!